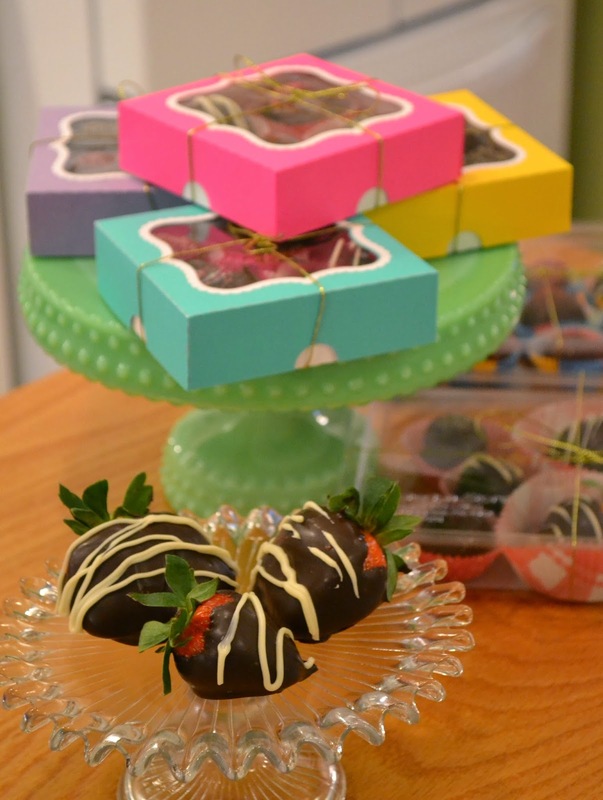 Closet Crafter: Homemade Truffles....and Chocolate Covered Strawberries!!! Homemade Truffles....and Chocolate Covered Strawberries!!! Little Miss Abby and I spent the day together on Saturday making some delicious chocolates. We decided to make REAL truffles for the first time ever and we think they came out pretty lovely. We even made the boxes we packaged them in! Love my Silhouette! The recipe we used can be found at Chocoley and it is also where I buy all my supplies. Their chocolate is so easy to work with and they have great sales and offers regularly. Plus they have free online classes and tons of recipes for wonderful candies. We made one batch of the basic truffle recipe and divided it into four bowls so we could have four different flavors. The truffles with the white chocolate stripe are flavored with peppermint oil, The truffles with pink sprinkles are raspberry, and then we also made both lemon and hot chili truffles (yellow and red sprinkles!) Important note: you must use special flavored oils made for chocolate. Regular candy flavors will cause the chocolate to seize up and ruin your truffles. the same goes for coloring chocolate---special coloring oils only! So how did we like the recipe? Here is Abby putting finishing touches on her boxes. We had leftover chocolate so we dipped some strawberries. Waste not, want not! Abby did all the decorating! I'd say this was a pretty wonderful way to spend an afternoon. They look amazing! Great job ladies! These truffes look amazing! And boxes are very beautiful too! it all looks so yummy!! !